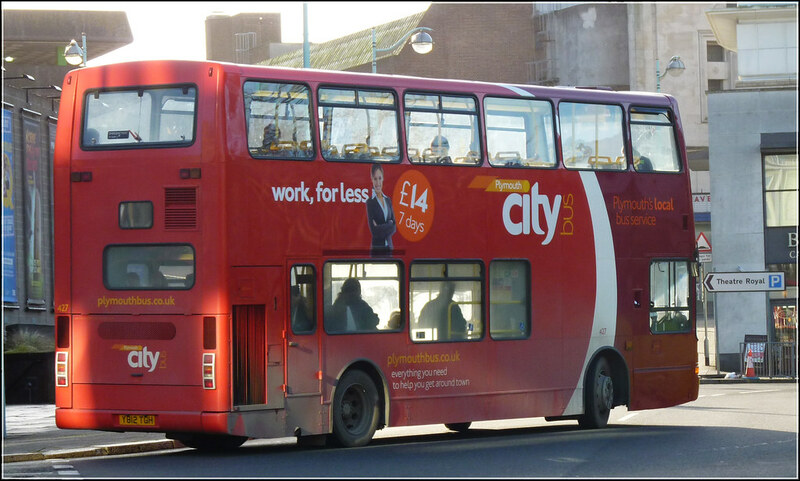 Of course, with 7 more E400s and 11 E200s due before Christmas, they will have to make space in the depot! 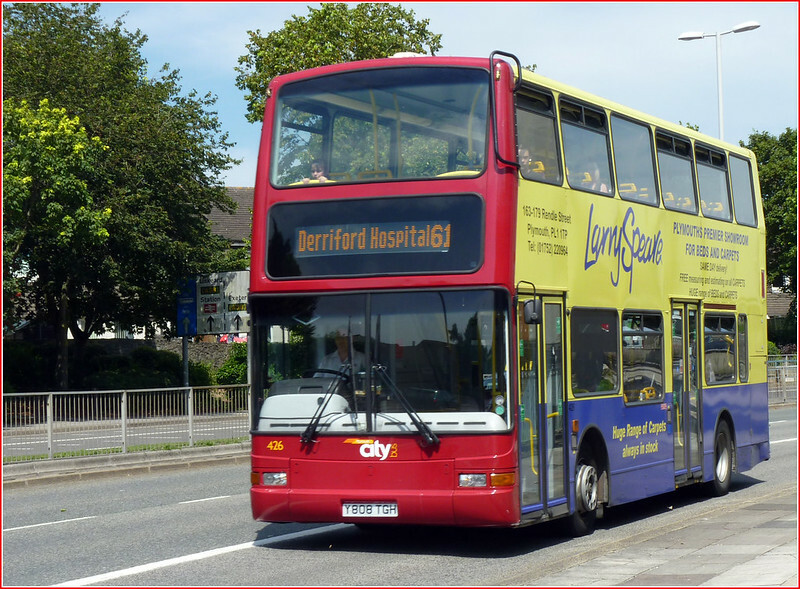 ** CORRECTION ** 13 ENVIRO 20D NOT 11. Shame about 426 that was lovely bus! But good to see it will live on. I agree. I do however wonder if it is better to sell reliable nice vehicles so they can continue to serve well and of course keep up business reputations. Better to get money so them than to send it to scrap and withdraw a bus with no loss left in it. Long live 426! Hehehe! And may she serve the clients of Riverlink well. 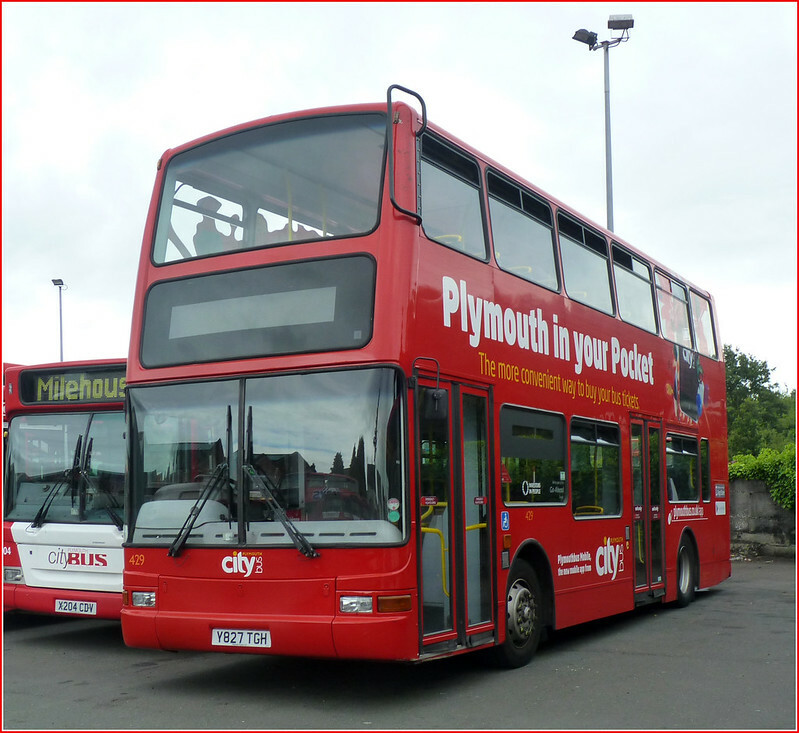 Citybus's E400s are low-height; all the PVLs being ex-London, will be full-height and thus quite a few inches taller. 429 Y827TGH and 439 Y816TGH were parked outside the Riverlink depot at Churston Station this morning.